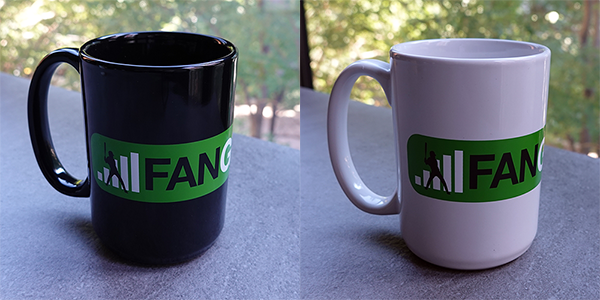 In our never-ending quest to put a FanGraphs logo on everything, mugs are the logical next step. So, here they are! They come in both black and white to match your preferred aesthetic and, at 15 oz., are also on the large size. These have quickly become the go-to mugs in my own household, to the point where certain unnamed spouses have attempted to monopolize them. They are available now for $25, which includes shipping and handling. Supplies are currently limited. Quite honestly, these may be the first and last mugs we make, so get them while you can! We hoped you liked reading FanGraphs Mugs Are Here! by David Appelman! I’ve never donated to Fangraphs. I don’t know what the percentage of people that do is. I frequently see the pop up and dismiss it with a sense of guilt, similar to my Wikipedia experience. That being confessed, I’m more likely to buy the cup than purely donate because “At least I’m getting something out of it”, at least something more tangible than supporting great content that I read all the time. I guess I’m willing to pay more for an expensive cup because I consider part of the cost a built-in donation. I actually needed a new sweatshirt and just came here and bought the hoodie because as you mentioned, I figured I’m achieving both the need for a new piece of fall-wear and supporting the best site on the internet. Win/Win. win/win/win. the important difference here is with win/win/win, we all win. me too. i win for having successfully mediated a conflict at work.